FAQ: Where Should I Stay When I Visit Chile? Almost everyone coming to Chile flies in and out of Santiago, nearly guaranteeing you will spend at least a night or so in Chile's capital city or the surrounding area. Since we host many guests who are staying in the area, we receive a lot of questions about where to stay and what to do while in Chile. As a result, we've decided to start a series of blog posts which answer these questions. Here is the first post which responds to the Frequently Asked Question (FAQ): Where should I stay when I’m in Chile? This is certainly not an easy answer,but since our team in Chile and the U.S. has had some experience with hotel stays, here are a few recommendations for staying in and around Santiago, Valparaíso/Viña del Mar and Casablanca Valley. With a great location at the foot of the Cerro San Cristóbal and just minutes away from Pablo Neruda’s house, La Chascona, our friend, Liz Caskey, recommends The Aubrey as the perfect place to stay for a few nights in Santiago. Once home to the nation’s leading political families it has been transformed into a beautiful boutique hotel with 15 rooms which vary in price and style. Originally constructed in 1927 as a residence, it has been beautifully preserved as a hotel located in the now up and coming neighborhood of Lastarria. 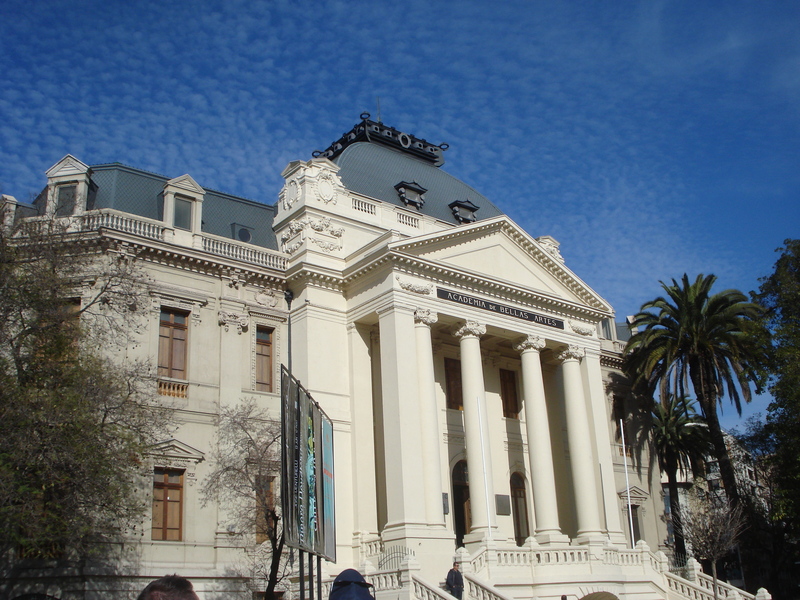 One of our favorite Santiago barrios due to its European style and amazing restaurants and wine bars like Bocanariz and city sites such as the Museo Nacional Bellas Artes, this neighborhood is a must see while you're in Santiago. A French inspired, boutique hotel in the heart of barrio Providencia, Hotel Orly is located perfectly for close access to some of the city's best restaurants like the nearby, Aquí Está Coco. The hotel itself also comes highly recommended by another of our tour guide friends, Brian Pearson of Santiago Adventures. Located on Cerro Alegre, one of the most important and most visited hills in Valparaíso, Casa Higueras has perhaps the best terrace for finding a spectacular view of the city. A bonus is the delicious food at their restaurant which features Chilean nouveau cuisine. Also located on Cerro Alegre with great views of the city, this recently opened hotel, was built inside a palace and an old house both beautifully restored for the purpose. It is also the location of Restaurant Alegre home to Chef Sergio Barroso who worked for Ferran Adria at his famous El Bulli. His training at what was called the best restaurant in the world certainly shows in the quality of the food. Located in San Antonio, just a few minutes from Casablanca, Matetic is not only a wonderful winery to visit, it’s a beautiful place to stay for a couple of relaxing nights in the middle of nature as you explore the valley of Casablanca and its wines during the day. 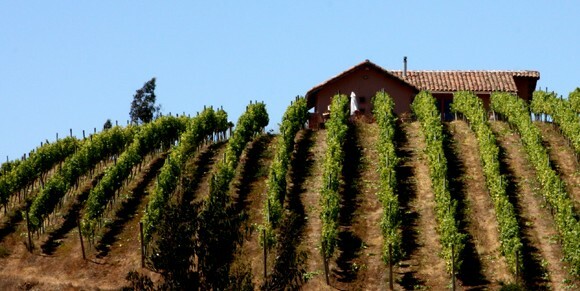 Also located at a winery a bit outside of Casablanca, their award winning wines make Casa Marín, in our opinion, one of the best wineries to visit in and around Casablanca Valley, whether or not you decide to stay here. Though they only have one guest house, large enough for 4 people, it is at the highest point of their vineyards in Lo Abarca with a great view of the Pacific Ocean. Hidden within the coastal city of Algarrobo, this 13 room hotel is a neat, modern enclave just minutes from the Casablanca Valley. One of its most wonderful features is the hotel's wine cellar which they call their honesty bar. You can simply walk into it, as though it's your own, and select a bottle from their large collection, including many MOVI wines. Once you've chosen a bottle you sign it out and take it to your room or to the restaurant to enjoy with your meal. La Mirage Parador This 5-room boutique hotel and restaurant is in the tiny community of Tunquen, only about a 20-minute drive from us, and 10 minutes from the coastal resort town of Algarrobo. Service is a strong focus for owner-operators Kim and Ricardo and you can be assured of a nice meal at the hotel's restaurant.